One of the city's strangest laws is the infant car seat rule. 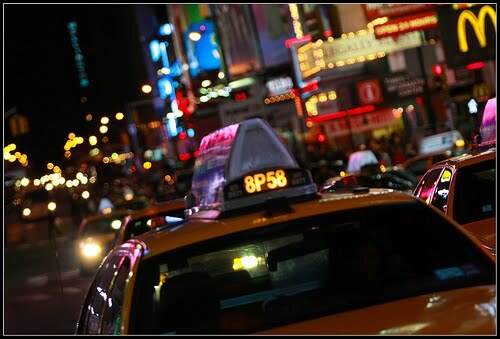 In New York City, it's mandatory to have babies in a car seat when riding inside any car - except a taxi cab. If you're riding a cab, then it's totally optional. Now I understand the reason why this rule was created. Clearly if you're taking a cab, you're unlikely to be carrying a car seat around with you. The problem is the car seat rule was always meant to be a safety precaution, not a convenience measure. And of all cars to step into with your baby, taxis are probably the least safest. Perhaps one solution to this crazy exception is to give more tickets to cabs for the crazy things they do on the city's streets, like cutting people off, swerving into other lanes, and running red lights.